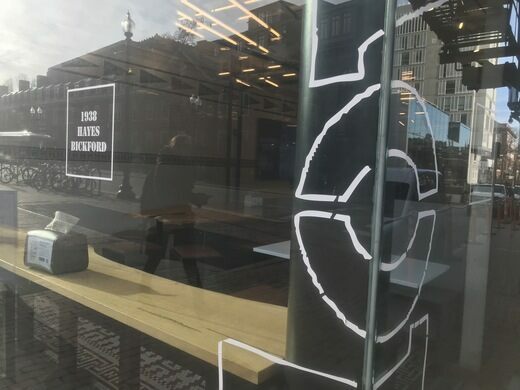 On February 10, 2016, owner Ayr Muir announced via blog post that the original Harvard Square branch of his now-Boston-wide chain restaurant, Clover, would be closing. Little did they know that their new location would end up uncovering a lost bit of local history. The new Clover location was to be situated at 1326 Massachusetts Avenue at the corner of Holyoke Street, where the Yenching Chinese restaurant had been. 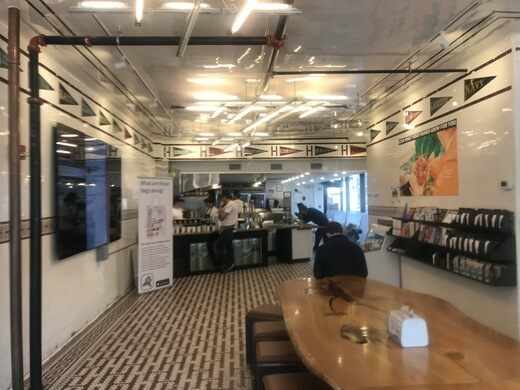 Clover’s interior design aesthetic is very clean and very white, so everything from Yenching was removed to make way for the modern fast-food aesthetic. In working to refit the space, the contractors stumbled upon a nice surprise. Underneath the old Yenching walls was intricate tile work designed to look like the triangular pennants of some notable schools. 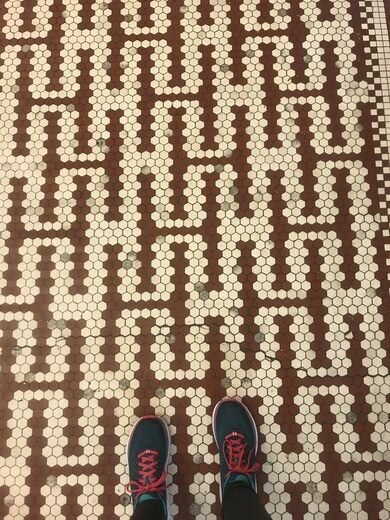 There was also a row of decorative crimson H’s marching across the middles of the walls, and even more Harvard H’s tiled into the floors. 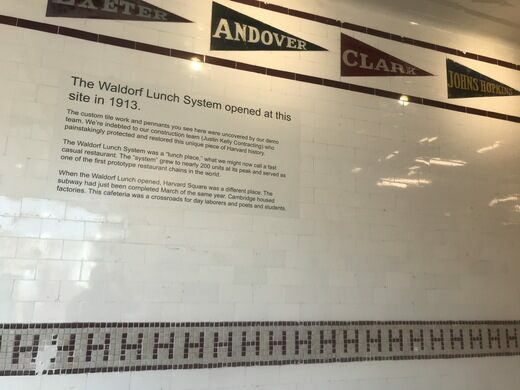 As it turned out, the enthusiastic tiles dated back to 1913, when the space was known as the Waldorf Lunch. The Waldorf Lunch was a bellwether of the age of fast food restaurants. According to an article about the restoration in the Harvard Gazette, the Waldorf was one of 200 some restaurants in a chain, and served as an outpost for hungry students. 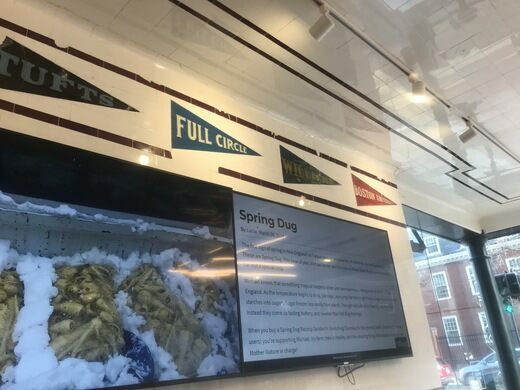 The spot on the wall once filled by the Boston College banner—which was pried loose long ago—has been replaced by a replica banner sporting the words “Full Circle.” Full Circle is the name of the small independent school that the owner’s parents ran in western Massachusetts. In a way, for the former fast-food restaurant—and maybe for Muir as well—things have truly come full circle. Breakfast is served from 7 to 10:59 a.m. on Monday through Saturday and from 9 to 10:59 a.m. on Sunday. Lunch and dinner are served from 11 a.m. to 11:59 p.m. Monday to Saturday and from 11 a.m. to 10 p.m. on Sunday. You can view the menu online.